A recent scam in Georgia is a timely reminder that fraudsters never rest but instead continually devise new schemes to swindle seniors out of their money. According to Fox 5 Atlanta, a 70-year-old woman received a phone call from someone alleging that he worked for a company. He also claimed that his company had accidentally made an $8,000 deposit into her bank account and he needed to get the money back. His story might strike you as absurd, but it convinced the elderly woman. According to police, the man on the phone then told the woman he needed to gain access to her computer, which she allowed. With remote access, the scammer accessed a joint bank account that the victim shared with another family member. The scammer then transferred $8,000 from the joint account to the elderly woman’s bank account, which made the woman think that she did in fact have an extra $8,000 in the bank. At that point, the scammer demanded payment or threatened to have her thrown in jail. The victim promptly withdrew the $8,000 and sent the cash to the scammer via FedEx. By the time a family member found out what had happened, the money had already been delivered to the scammer; and, unless the police identify and arrest him, the money is gone. The victim unfortunately did several things wrong which contributed to the theft. For one, she gave remote access to her computer to someone over the phone. There is never a reason to do this—especially when you receive a phone call out of the blue. If you have an elderly loved one you are worried about, encourage him or her to call you if someone ever requests remote access to the computer. Second, the victim fell prey to a time-honored tactic of swindlers and fraudsters—they threatened to have her sent to jail if she didn’t comply with her demands. In this situation, there is no way that an innocent victim could go to jail if someone else accidentally deposits money into their account. Unfortunately, this fear tactic often works on people, young and old alike. Third, if money is accidentally deposited into your account, you should work with the bank. It is up to the bank to handle this issue, not you. Never feel pressured to try to “fix” a problem that you had no role in playing. Hopefully, the thief will be found and the $8,000 returned to the victim. But everyone can protect themselves by immediately hanging up if someone calls and accuses you of having money in your bank account that isn’t yours. 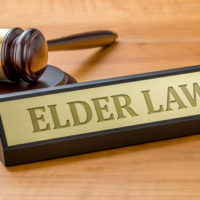 Millhorn Elder Law Planning Group is a leading Florida elder law firm in The Villages. We have helped many seniors and their loved ones plan for the future, whether that requires estate planning, Medicaid planning, or requesting guardianship. We have also helped people gain financial power of attorney to protect a senior’s finances from exploitation. Contact us today. We offer the public a free, confidential consultation, which they can schedule by calling 800-743-9732.